From the day they’re born, Uptown Doodles receive the best healthcare, the best food, the best grooming, and the most love we possibly can. Your puppy is robust, resilient and healthy. Missing a haircut or letting his nails get a little too long once in a while aren’t the end of the world. Just follow these tips, do your best, and everything will work out just fine! So without further ado, let’s jump right into it—how to keep your Doodle well-groomed for maximum health and happiness. 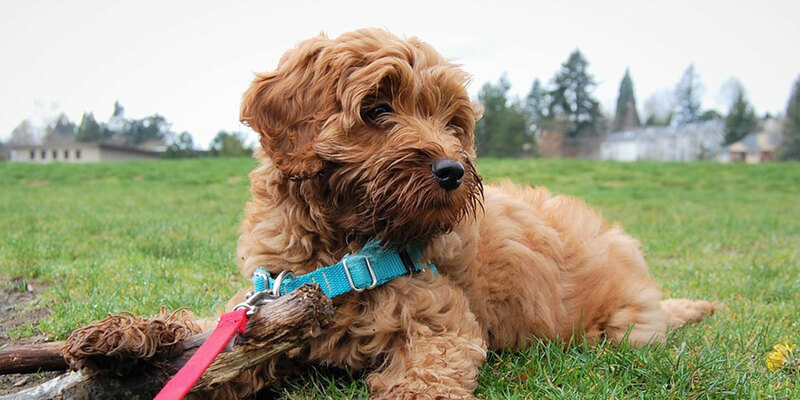 While your Doodle’s coat will need little maintenance at first, your puppy’s coat will gradually be replaced with its adult coat between 8-14 weeks old. The puppy coat will NOT shed on its own, so it must be stripped out to prevent matting later on. 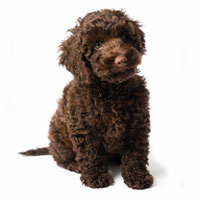 As your puppy’s coat changes to its adult coat, your Doodle must be brushed regularly each week. Once your dog’s coat has finished transitioning, you’ll get to start enjoying the full benefits of the amazing Doodle coat. 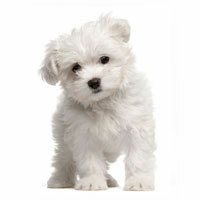 Grooming is extremely easy, and usually requires little more than regular weekly care to avoid matting. 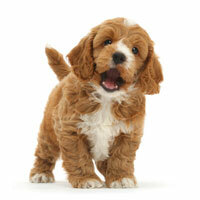 It’s common to clip or trim your Doodle’s fur just 2 or 3 times per year, depending on your preferences. Allow your Doodle’s coat to grow out to about 3 or 4 inches and cut it back to roughly 2 inches. The hair around your dog’s muzzle should be trimmed regularly to keep his or her face clean when eating, and hair around the eyes should be kept short to make seeing easier and to promote better eye health. 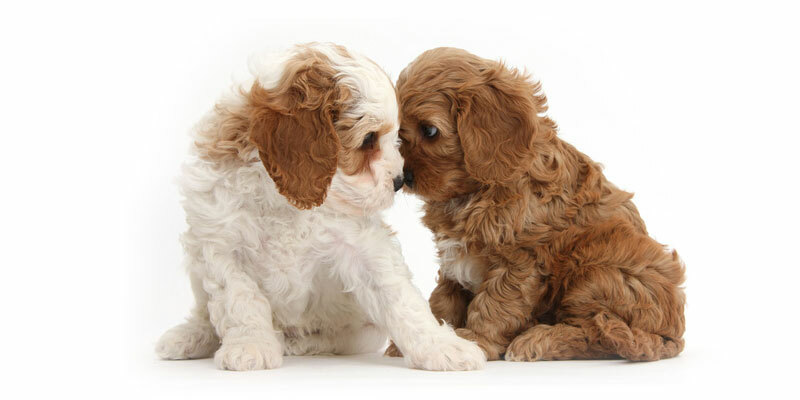 Hair growing in your Doodle’s ear canals must be trimmed or plucked, and hair around the opening of the ear canals and neck should also be shaved to reduce your pup’s risk of ear infections. Weekly cleaning of your Doodle’s ears is also a must. Discuss with your vet whether he or she recommends plucking or trimming inside your Doodle’s ears. Clearing out built-up wax can be done with any kind of ear cleaning solution or wipes from the pet store. 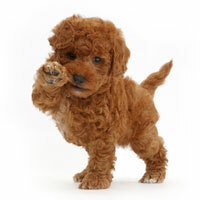 Trim your Doodle’s nails throughout the year, and don’t forget to trim the hair around the bottom of Doodle’s feet. Dirt (and sometimes snow) can ball up between your dog’s foot pads—trimming the hair here helps keep your dog comfortable and your house clean. When you trim your dog’s nails, be absolutely sure not to cut them too close to their paws. Doing so could cause your dog’s nails to bleed (dogs have blood vessels in the roots of their toenails), and could hurt your pup—or even require a vet visit. Keep your Doodle’s teeth white and tartar-free by giving your dog the occasional bone. Bones should be raw chicken wings, necks, etc. Never give cooked bones of any kind to your dog! You should also brush your pup’s teeth once per week for optimal dental hygiene. Doodles require little to no bathing. Yes, even if your dog gets covered in mud, your dog’s awesome coat will make it easy to brush off once dried. If you do choose to bathe your dog, squeeze the shampoo through your dog’s coat instead of rubbing it in, and be sure to rinse thoroughly. Before brushing your dog, let its coat dry completely. It’s up to you whether you keep your Doodle’s coat short or allow it to grow out longer. It might be better to trim their fur a little shorter in the summer and keep it longer in the winter, but again, it’s up to you. 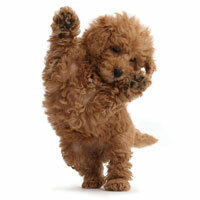 Not every groomer is familiar with Doodle breeds, so be clear the first time you bring your pup in for a trim. You could show them a picture of the look you’re going after, or ask them not to turn your Doodle into a Poodle—trimming your dog’s muzzle and making their head look too boxy will definitely make them look more Poodle than Doodle. When in doubt, specify no shaving of their face or nose. To thin out mats between baths, thin the area with thinning shears, brush the matted area only, spray with water, and allow it to air dry. Trim the edges of your pup’s feet slightly more often to avoid snow and ice buildup between the pads of their feet. Doodles love to swim, run through sprinklers, and generally enjoy life just like your kids. While they’re pretty easy to keep clean, it’s a little harder to keep them dry. Cutting your dog’s hair a little shorter during warmer months will make drying them off a lot easier. Doodle coats are really, really easy to take care of. And best of all, your dog’s fur will stay on your dog, not all over your house. Of course, if you want to groom your Doodle, first you’re going to need a Doodle. 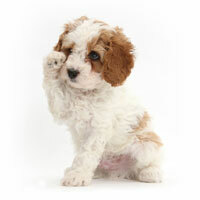 We suggest taking a look through our awesome puppy finder…just a suggestion!